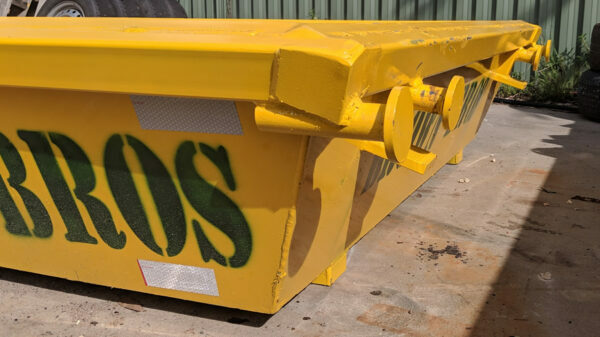 All of our heavy-duty steel skip bins are manufactured from heavy duty steel to strict engineering standards and have been compliant with safety standards since 1982. Marrel bins are perfect for small household clean-ups or building sites that require smaller bins for recyclable materials. Marrel bins are generally smaller and can usually be placed in driveways, difficult to access sites, and areas where space is at a minimum. 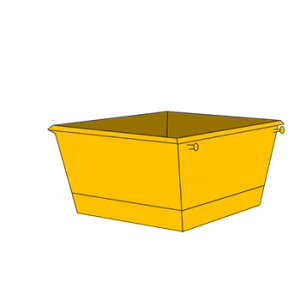 Smaller sized bins are trapezoidal in shape and are lowered from the back of the truck using chains. Available sizes: 2m3, 3m3, 4m3, 6m3, 8m3, and 9m3. Click here to see individual dimensions. 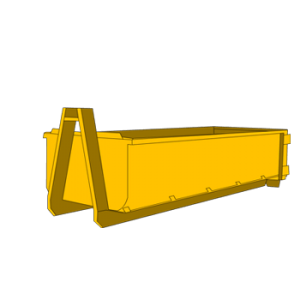 Hook skip bins are the preferred bin for building sites that generate large quantities of waste. 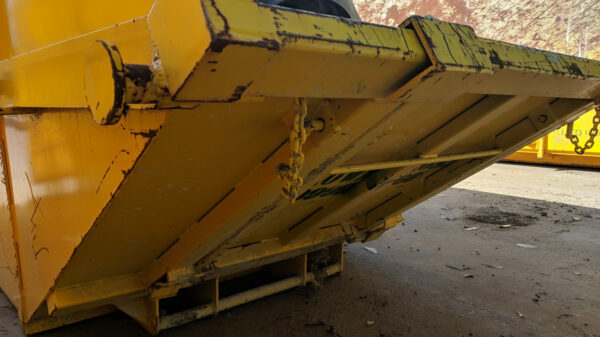 Hook skip bins require a clearance of at least 3 metres, and can be placed in carports, garages, and other difficult to access sites. 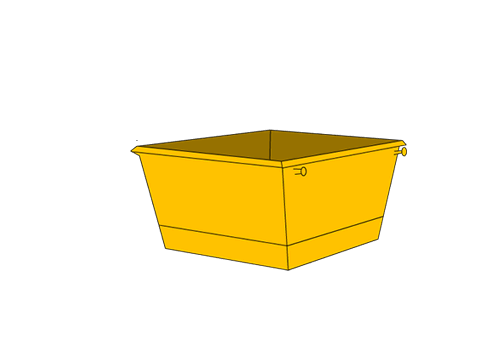 All hook bins are rectangular in shape and have rear-opening doors to allow easy manual loading. They are lowered on and off the truck by the truck’s hydraulic system. Available sizes: 4m3, 5m3, 8m3, 10m3, 15m3, 20m3 and 25m3. Click here to see individual dimensions. Our 3m3, 4m3, 6m3, 8m3 and 9m3 skip bins have the added feature of the drop down door or barrow door. This is a feature where the rear of the bin lowers to make a ramp. This enables easy access with a wheelbarrow , making loading much easier , quicker and in many ways safer. 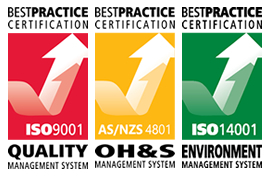 These bins have been certified / rated to allow their use in various situations where bins and waste are craned on and off construction sites . 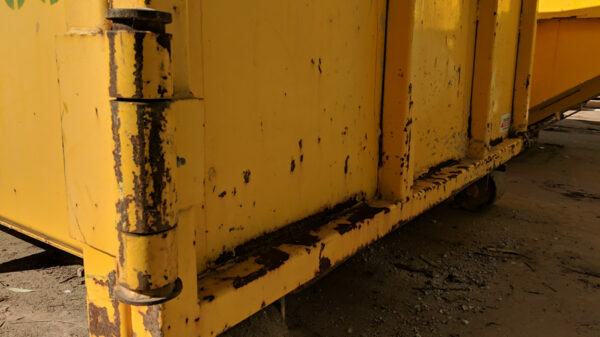 This is either on multi-level building sites or where access to the site will only allow the bin to lowered or lifted into a particular location. 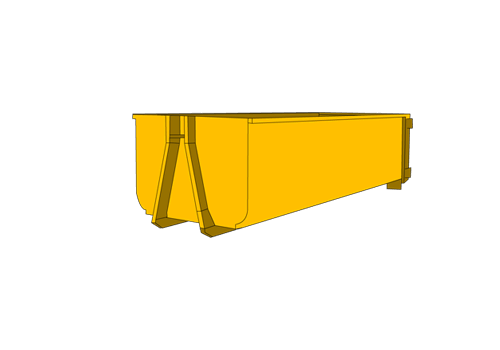 In our cranable skip bin range we have 2m3 and 9m3 sizes. 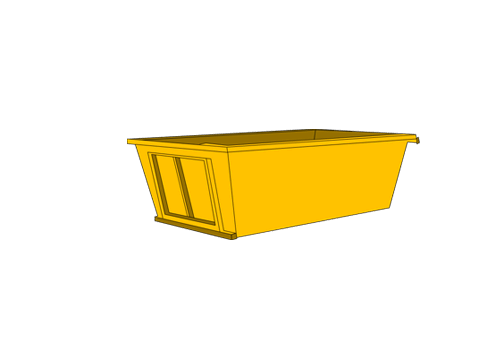 We are able to provide customised & purpose built skip bins for commercial & industrial purposes. 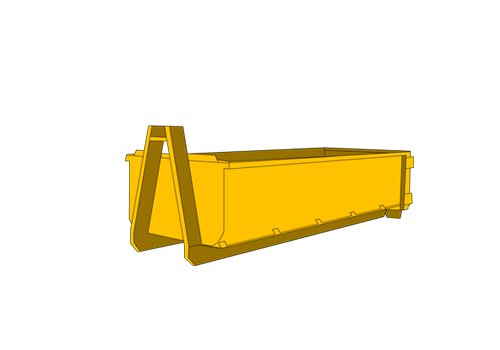 All our bins are Custom Built to Brown brothers specific requirements. All from 5mm heavy duty steel which are manufactured to strict engineering criteria and have been compliant with safety standards since 1982. How To Calculate The Skip Bin Size You Need? Estimate the amount of waste to be placed into the skip bin. If possible, place all the waste in one place and measure the dimensions. As a guide, a pile of waste 2m x 3m x 1m will require a 6 cubic metre bin. Remember when loading your bin to utilise the space by packing waste tightly. When ordering your skip bin, it is important to know what type of waste you are disposing of. 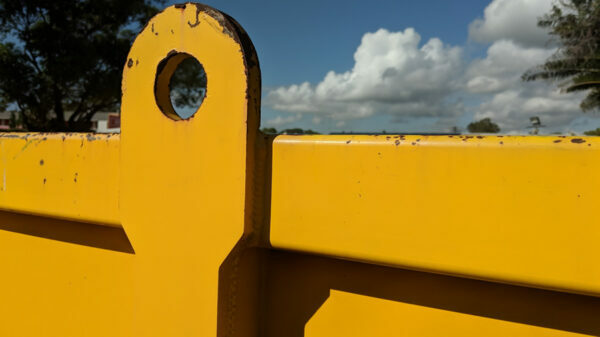 We calculate the cost of your bin depending on both size and weight, and offer cheaper rates for sorted and separated recyclable waste such as brick, concrete, timber, vegetation and clean fill. Contact us for the different rates on light household waste and heavy building waste. Would you like to learn more about accepted waste types? Please note: we are not permitted to carry bins if the waste is either unsecured or above the sides of the bins. Measure the spot you would like the bin to be placed to find the corresponding bin size. It is also important to take into consideration any overhanging trees or power lines, and how steep your driveway is. Consider elevating the bin onto planks of wood or pallets to protect your driveway or lawn. For more advice, contact our team of experts on 02 9999 6466. Any of the above issues may result in the bin hire incurring extra charges.